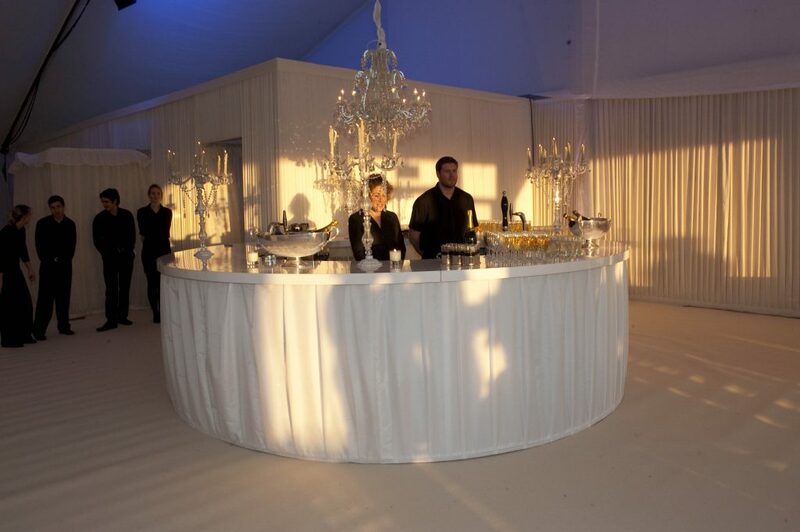 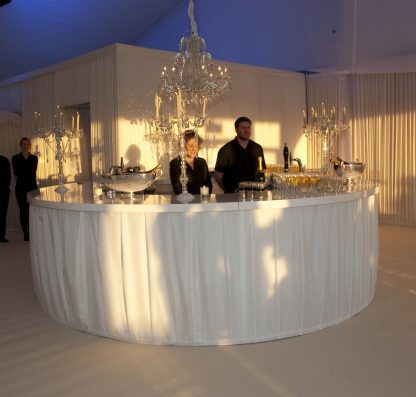 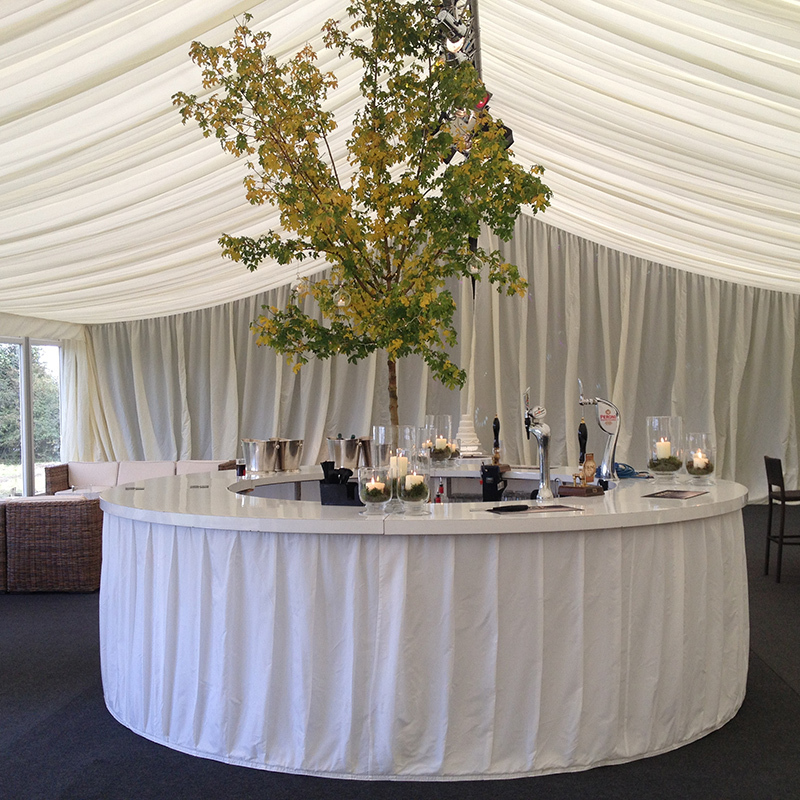 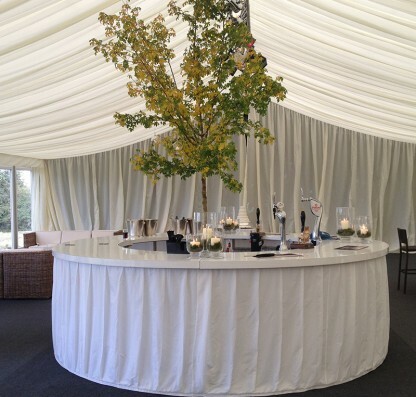 This gorgeous circular bar covered with ivory pleated fabric has a classic, understated style to fit with any theme. 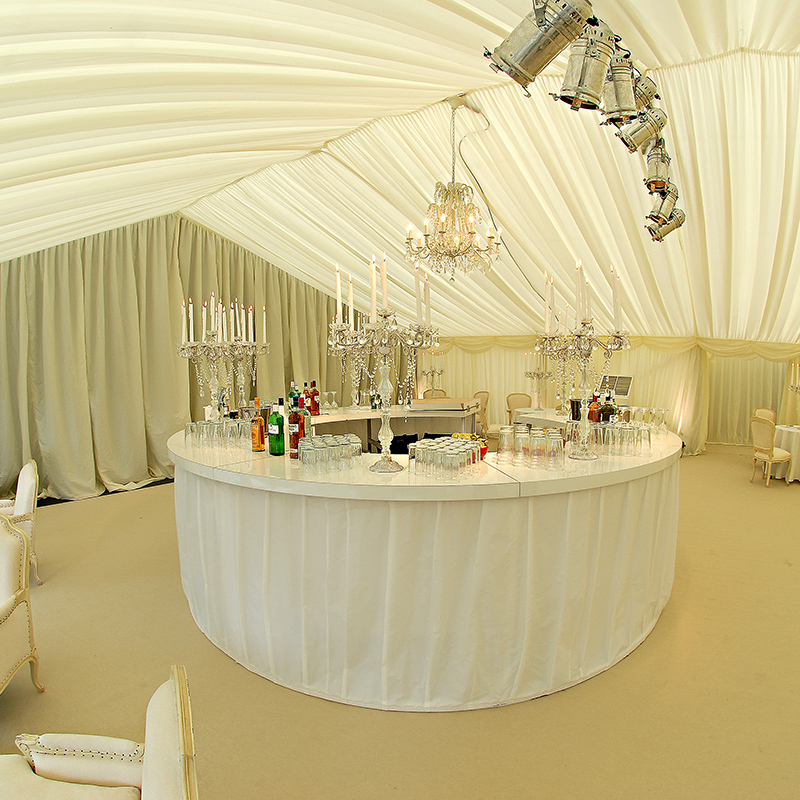 It goes perfectly with our Louis Cream Upholstered Seating. 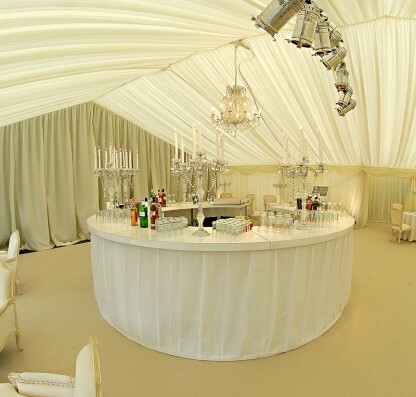 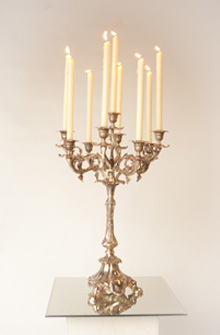 For the extra wow factor, it can be dressed with other fabrics or decorations. 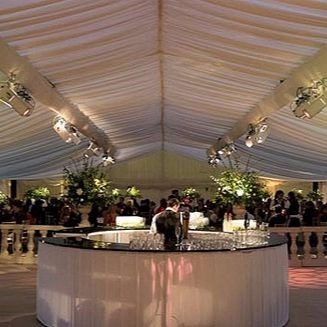 It comes in 2 halves so it can be used as either a semi-circle or a full circle.